Expert installation of plants, planters , geen walls and atriums is not a given. Smaller plant companies may not be able to install plants above a certain size, or fully understand the techniques required to safely handle plants and materials. Plants can be unforgiving, and improperly installed plants can fail immediately or over the coming months. 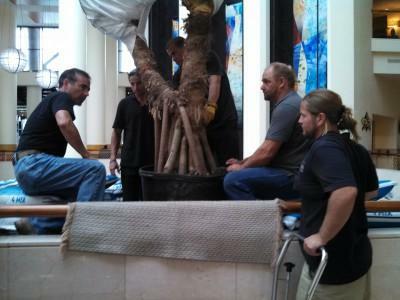 At FDS, we know how to install everything from giant trees requiring special handling to the smallest desktop plant. We plan for long-term sustainability, and we will always do it right. To learn more contact an FDS professional today at 800-933-7351, or via our website.